Your girlfriend's birthday, there is a special date to celebrate, whether you want to surprise her just like that? Just at a special moment give a special piece of jewelry, which takes place every girlfriend nice. KAYA has therefore put its bestsellers for loved ones in a row. Each and original gifts, where your care and attention are given to choose from. Surprise her why with a beautiful piece of jewelry from this collection, success is guaranteed! Show her how much you care about her with this gift, especially for its made-the-hand. Engrave this silver Infinity necklace a name, date or a special word! Our infinity necklace is the perfect gift for any woman. 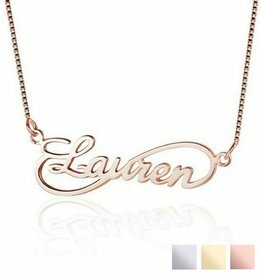 Adding a name (or a small word) makes the jewelry extra personal and unique. 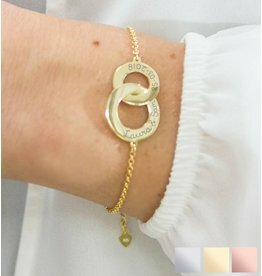 Gorgeous .925 silver bracelet with the symbol of infinite love. Delivered in a luxury gift box with greeting card. Includes free engraving. We fell in love with the pieces you with chains elkaard Bear A beautiful variation on the classic heart-breaking of the past. We have this "breaking hearts-in-a-modern-jacket 'also ying yang design, or small cubes. Or how about our friendship rings? Your names engraved on two rings. The studio of our engraver is specialized in manufacturing silver rings with engraving. The carving is put in our workshop according to the best and latest methods in your ring. Our engraver has a modern workshop which is a leader in technology and quality. Engravings are always put hand by a goldsmith. For handicraft stands for class, durability and quality. 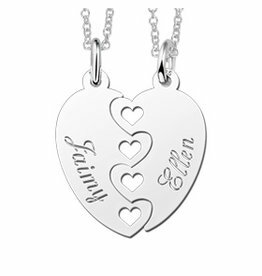 Not only couples in love, but also best friends or mom & daughter can now walk with the name of the other. Do you want to surprise your girlfriend with an original gift? E and original gift for your girlfriend's one that you have chosen for her. A gift will be truly unique by providing it with your text. How about a silver infinity necklace with your names or a name + date it. Or two pendants with your initials engraved on it? With such personal ornament will certainly surprise you! 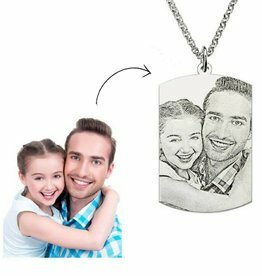 This personal touch to the gift gets a special value and it is a special memory forever. This jewel you have chosen with care will surely be appreciated by your girlfriend! For your girlfriend's birthday you want to of course see that you have chosen a gift with care and attention. A personalized gift will certainly succeed. Engrave your both names for example the breaking hearts, or create a gepersonalisieerde bracelet. With such a special birthday gift f or your girlfriend you have some success! Often the jewelry bought by men, and we are regularly told that they find so our fine gift box. 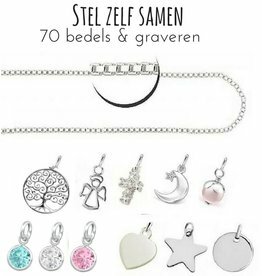 Therefore, we pack all loves luxury jewelry in a jewelry box or silk sieradenbuideltje, even ready for gift giving!